Okay, this weekend was productive, yet I felt that it could have been more productive. I have packed up the living room and the lower floor. 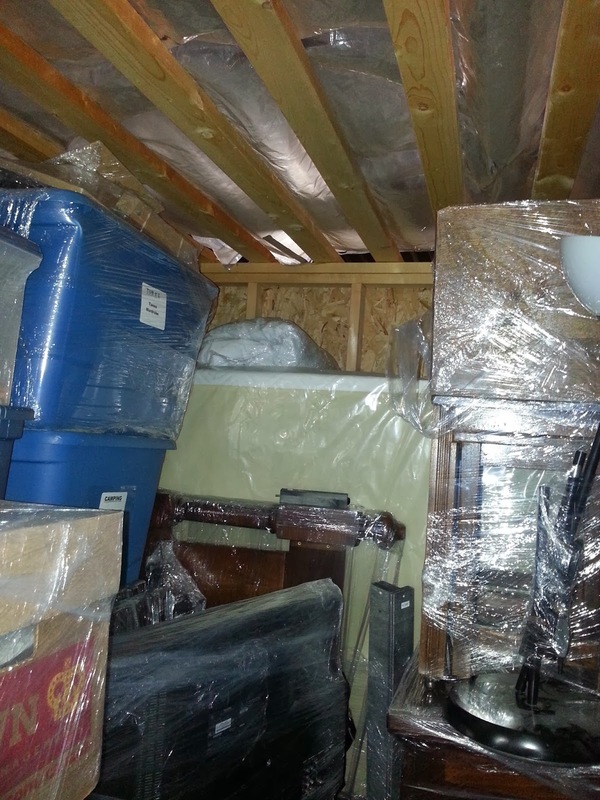 I have moved just about everything that I want to keep in storage (yet I am not still using). I packed up my television and the lower cable box and was about to pack up the cable modem (internet) but I paused . . . . I realized that I like the internet . . . . I reeeeeealy like the internet. So why punish myself when roommate has already told me that he plans to be out by Tuesday? 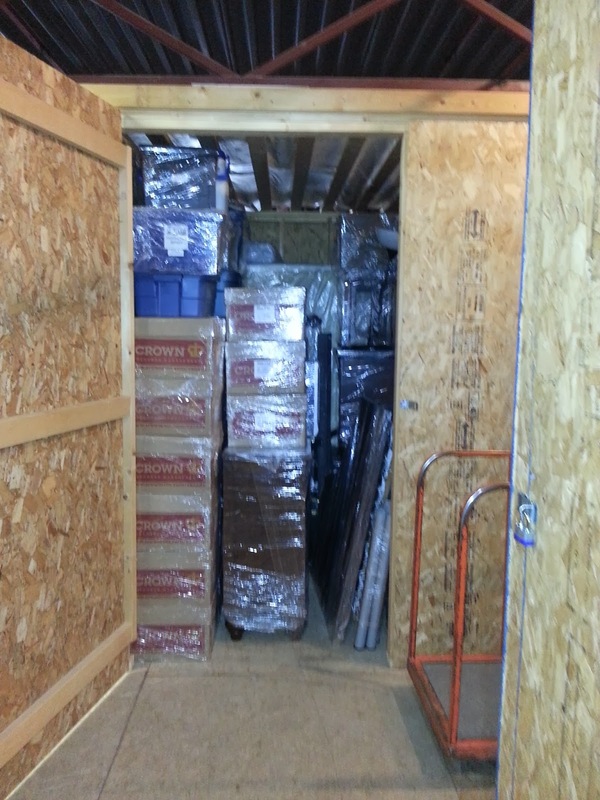 I remembered to take a few pictures of how the storage unit looks now, so here goes . . . The house is looking more and more forlorn with less and less stuff in it. There is lots of space in my room as I have almost nothing in there. I have piled up a small amount of stuff that I want to keep and possibly put into storage. I met the couple who are moving in to my place once I am out. They came over and bought my table from me as well as a few odds and ends which I didn’t want to take with me. So yay less stuff to go to charity (or if I get frustrated, the dumpster outside my door). I still have the couch and loveseat to get rid of but at least the roommate said he will take them (for free) but at least that means that I don’t have to find a home for them or what have you. So everything is set. I am now beginning the final stretch (of the beginning).